Connect with colleagues, friends or family with incredible group discounts and special perks available at our four-star all-inclusive beach resort. We make planning and executing your large event easy with versatile indoor and outdoor, beach side or beachfront venues and the help of our experienced meetings and events team. 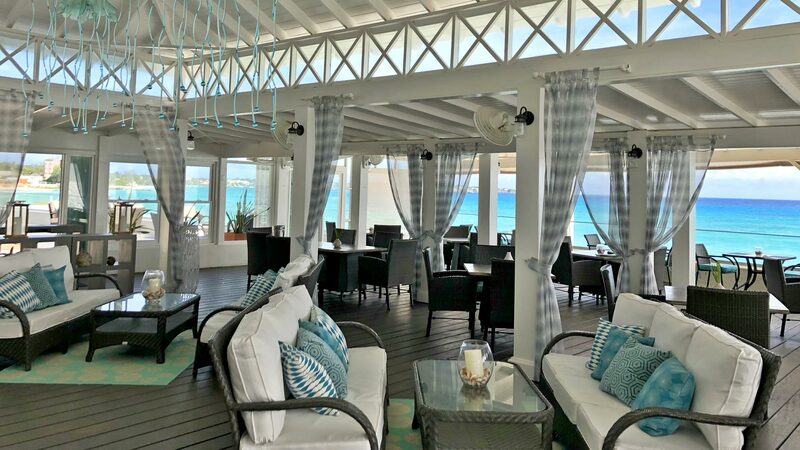 Whether you're arriving for business or pleasure, you can just sit back and enjoy the great activities, delectable dining, beautiful beachfront location and warm Bajan hospitality at Sea Breeze Beach House. Start planning your group trip now to take advantage of our exclusive group rates, special offers and incentives. Be it organizing team-building activities, arranging local Bajan entertainment, coordinating food, drink, transportation and more, our Sea Breeze meetings and events team can help you design a beachfront corporate retreat that will inspire success. Contact us today to take advantage of special group incentives. We offer creative leisure incentives that will satisfy everyone in your group. From a wellness retreat filled with spa services, to beach yoga and healthy dining to corporate golf getaways on Barbados championship links to sorority reunions taking in historic sites and local culture, the choices are nearly limitless. With group discounts, you can come together for an extraordinary family reunion at the warm and welcoming all-inclusive Sea Breeze Beach House. With colorful, comfortable rooms and suites, six different dining options, themed entertainment, exciting water, outdoor and cultural activities, there will be smiles all around. No matter the reason, creating a group celebration event at Sea Breeze means special rates and perks at our luxury beachfront all-inclusive resort. With everything from great dining and chic accommodations to gorgeous beaches and a wealth of outdoor activities included, you'll be celebrating the good life. Our group rates are based on a guaranteed 40 or more room nights, which allows you a discounted group rate. Complimentary Sweets & Treat basket in room on arrival, with a personalized noted from the Group Leader. Complimentary gift for Group Leader with a personalized note from Hotel's Groups Coordinator. Two spa vouchers per room on arrival offering 10% discount off spa services. Vouchers not combinable. Complimentary turn down service for the group the night before departure. One complimentary room delivery (gift from group leader, if any) once during stay. Complimentary group luggage pull on arrival and departure. One (1) complimentary room for Group Leader on your guests' average length of stay, but not exceeding 7 nights. Complimentary two (2) hour exclusive Welcome Reception for the group. Includes house beverages, passed canapés, and background music.